Ocean City Center for the Arts Uses Art in a Way to Help the Community - Eat. Drink. Buy Art on Delmarva. The Art League of Ocean City and Diakonia, an Ocean City area homeless shelter, have partnered to help fight hunger as the two local nonprofits host the Empty Bowl Soup Dinner at the Ocean City Center for the Arts on Friday, March 29, from 4:30 – 8:30 p.m. The cost of the dinner is $25 and includes soup, bread, soft drink, and a ceramic soup bowl, handcrafted by volunteers at the Arts Center. Seating is continuous from 4:30 – 8:30 p.m., and reservations are not required. Also featured are a 50/50 raffle and a cash bar. The Empty Bowl Project is an international grassroots effort to fight hunger and a unique opportunity to use art in a way that helps the community. The project — which begins with bowl-making sessions and culminates in the soup dinner — is a collaborative effort of the Art League of Ocean City and Diakonia to raise awareness and funds for hunger through creative engagement. 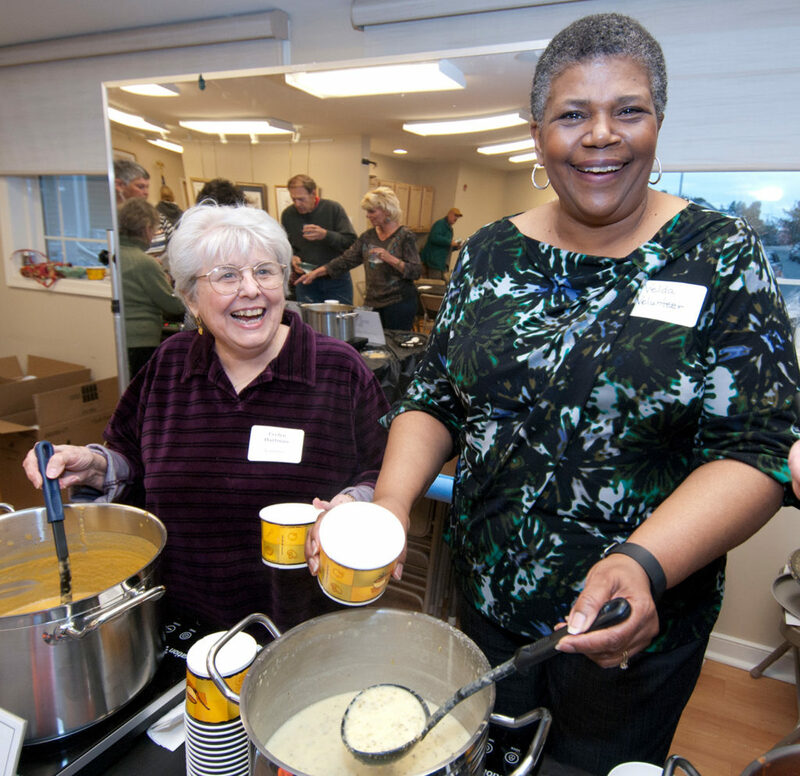 This is the 5th year for the Soup Dinner, which has raised more than $39,000 to benefit the two non-profits. Eight local restaurants will provide the soup: Embers/BLU/MadFish is serving cream of crab and corn chowder; Off the Hook, corn and crab jalapeno bisque; Liquid Assets, Waygu beef chili; Mother’s Cantina, roasted tomato; Ocean 13, chicken and dumpling; The Original Greene Turtle, beef chili; Seacrets, creamy tomato basil; and Sunset Grille, chicken tortilla. The Soup Dinner will feature live music by artists who perform during the Art Center’s Originals Only monthly event: Lily Carolina, DomtheGonzo, Josh Miller, Sad Napkin, and EyeCan’tSeeI’mDeaf. Sponsors for the 2019 Empty Bowl Project are Bayside Liquors, Buxy’s/Dry Dock 28, Dunes Manor Hotel, Embers/BLU Crab House/Mad Fish, Fager’s Island, Irish Penny Pub & Grill, Liquid Assets, Mother’s Cantina, Ocean 13, The Original Greene Turtle, West-O Bottle Shop, Seacrets, Sunset Grille, and Touch of Italy. Proceeds from the dinner will benefit Diakonia, a local nonprofit that has been helping individuals and families in Worcester County and the Lower Shore for more than 40 years by providing shelter, food, clothing, and the resources to rebuild their lives. Proceeds also benefit the community programs of the Art League of Ocean City. The Art League of Ocean City is a non-profit organization dedicated to bringing the visual arts to the community through education, exhibits, scholarship, programs, and community art projects. Financial support comes primarily through membership dues from individuals and corporate sponsors. More information is available at www.artleagueofoceancity.org or by calling 410-524-9433.